2 Bedroom Detached Bungalow For Sale in Sheffield for Guide Price £155,000. 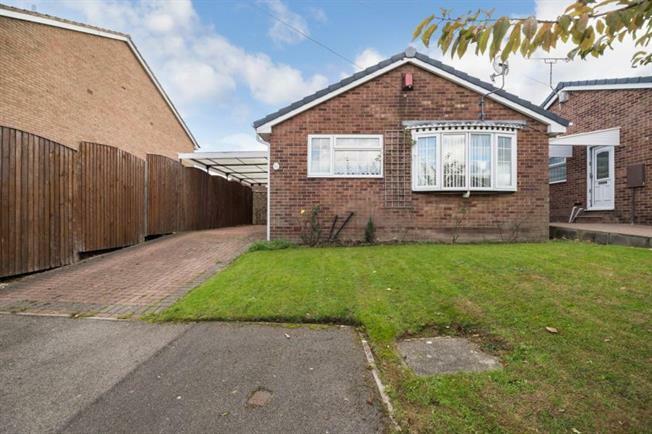 We are pleased to bring to the market this well appointed two bedroom detached Bungalow in Eckington. Occupying a sought after cul-de-sac location the property stands in well maintained gardens. Offered for sale with NO CHAIN. In brief the accommodation comprises; The entrance hall leads to the Living Room, fitted Kitchen, Family Bathroom and two further double Bedrooms. The property stands in well maintained gardens and has to the front the driveway stretching the length of the property with car port. To the rear is a fully enclosed lawned garden with patio area and timber shed.